Gen 3:1-6 NASB Now the serpent was more crafty than any beast of the field which the LORD God had made. And he said to the woman, "Indeed, has God said, 'You shall not eat from any tree of the garden'?" (2) The woman said to the serpent, "From the fruit of the trees of the garden we may eat; (3) but from the fruit of the tree which is in the middle of the garden, God has said, 'You shall not eat from it or touch it, or you will die.'" (4) The serpent said to the woman, "You surely will not die! (5) "For God knows that in the day you eat from it your eyes will be opened, and you will be like God, knowing good and evil." (6) When the woman saw that the tree was good for food, and that it was a delight to the eyes, and that the tree was desirable to make one wise, she took from its fruit and ate; and she gave also to her husband with her, and he ate. In this first passage we are told that the serpent was more crafty an animal than all the others God had made. Indeed, it was endowed with the ability to understand and vocalize human speech. So according to the Bible, the serpent at one time seems to have had an intellectual capacity on the order of human intelligence. (One is given the strong impression that it was of an even higher order of intelligence, given that it was able to beguile the humans into such a devastating act of disobedience.) If this is the correct interpretation, it would necessitate a completely different physiognomy for the serpent than the one we know today. Its skull would have had to be large enough to contain a brain of sufficient processing capacity to make speech and abstract reasoning possible. In addition, considering that it was condemned to slither on its belly for its actions, it must have had limbs that allowed it to move about with its body held above the earth. Gen 3:14-15 NASB The LORD God said to the serpent, "Because you have done this, Cursed are you more than all cattle, And more than every beast of the field; On your belly you will go, And dust you will eat All the days of your life; (15) And I will put enmity Between you and the woman, And between your seed and her seed; He shall bruise you on the head, And you shall bruise him on the heel." Now we see the sentencing phase. 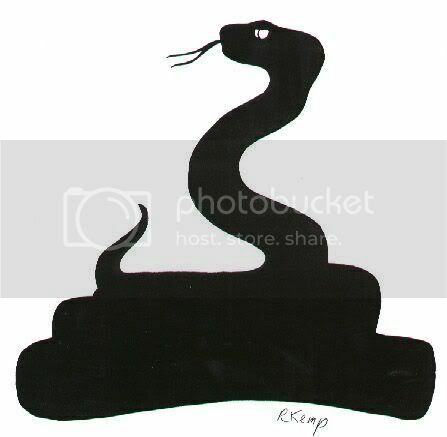 The snake is made to go upon its belly and eat dust from then on, and to become an enemy of Eve and her descendants. 1. This was a species of animal that had a human-sized brain and the ability to reason and use language. 2. This was a normal, dumb serpent that was temporarily possessed by the supernatural being we call Satan. 3. This was an intelligent creature acting in collusion with Satan. There are difficulties either way. On the other hand, if this was just a dumb animal that was taken over by a supernatural being, then why was it punished? This is certainly the most commonly accepted understanding of the story: a normally speechless animal is taken over by the Devil and used as a pawn to trick God's crowning creation into ignoring his decree. But how could a dumb animal be morally culpable for an act that was carried out by Satan, who had used it as a living sock puppet? What if the third option is the correct interpretation? If this is the right one, then this story is quite a bit weirder than I had ever imagined. Actually, there is a fourth, and to me more likely, option. This event is nothing more than a myth, a story invented by someone and embellished over time until it reached its final form as written in the Bible. I think if you grant the story's premise (that God created everything) then none of your possibilities create any difficulty at all. Choosing the best one is difficult, but if there is a spiritual reality that isn't fully explained, then there are a myriad of ways the story could be quite coherent and consistent with reality as we know it. The possibility you haven't allowed is that the story is communicating a spiritual reality in a language such a primitive people would understand. It may be that the best way these people could have understood Satan would be kind of like a snake that could talk, and maybe the best way they could understand God's judgment on Satan would be the way they would have understood snakes being confined to crawl on their bellies rather than walk. The question to ask then isn't "what would this story imply physically" but instead, what is the story actually trying to say and how would it have been heard by its original audience. When you find that, you have found the strongest and most essential claims the story is making. Yes, an omnipotent God makes all things possible. On the other hand, my scenarios already presuppose an omnipotent God. He could easily have made a second intelligent species. On the other hand, where is this species? His punishment did not include a diminishment of its intelligence, only of its locomotion. The problem I have with your second paragraph: Yes, this is a possibility. However, for the millions of Christians who believe the account to be literally true and not the communication of a "spiritual reality in a language such a primitive people could understand," there is a difficulty in the logic. If we approach the Bible as you suggest by ignoring the implications it might have on the nature of physical reality, and instead focus on what the author might have been trying to say to his original audience, then we will be treating the Bible as we would any other "sacred" writing, looking for metaphorical meanings among the fantastical accounts. I don't think my suggestion leads to reading it the way we read any "sacred" text, or only metaphorical meanings. For example, we might conclude the story is making a real historical claim about a real being later called Satan here represented by a serpent without concluding that it was a literal snake. That's in fact how I would read it. But this is all pretty much obvious. We can't imagine that Eden was simply a place with a bunch of trees and fruits, or that the Tree of Knowledge was just like the trees we have today but magic. Those literalistic interpretations seem non-essential to the point of the text, but the text is clearly saying that there was perfection of a kind, here represented by a garden, and that man grasped for something that was forbidden, here represented by the fruit of a tree. Also, I have a problem with addressing only a simplistic version of Christianity when you seem explicitly to be dealing with the text. If you are going to try to debunk simplistic versions of Christianity, then say that. If you are going to debunk the text itself, you might have to be open to more sophistacated ways of reading ancient texts.